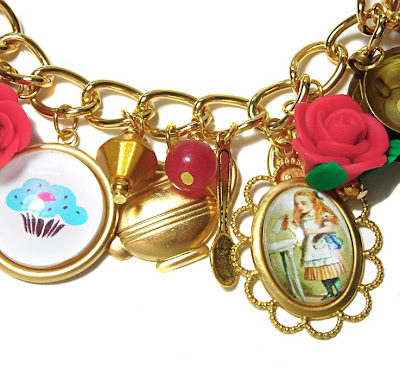 I couldn't resist another Alice In Wonderland Charm Bracelet for long! Here is the latest addition to the series after selling out again. This time I've focused on the beautiful red roses as well as the brass charms, such a teapots, clocks, tea spoons and playing cards. 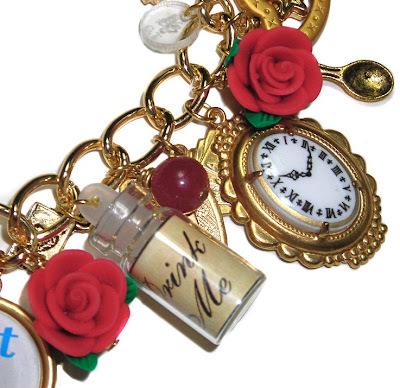 This also features a wonderful white rabbit illustrated charm, Alice charm and a cute little 'drink me' bottle amongst many other little treasures. 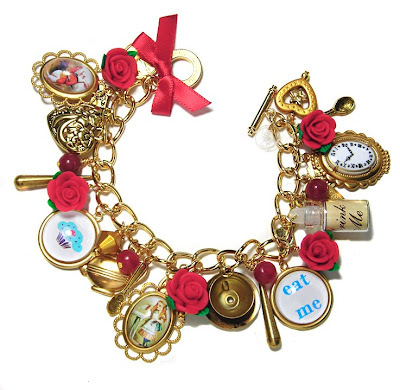 You can purchase Alice themed jewellery from my Alice in Wonderland jewellery collection. Absolutely stunning - I was just taking a peak in your shop, I'm in love with all your charm bracelets! Oh my goodness, that is just TOO cute!! im haveing an alice and wonderland sweet 16 and this would be perfect... i live in the U.S. could you ship it here? Hi i'm from mexico city,I just want to know if this products are abeilable here in mexico city and where can I buy it. oh. my. jelly. bellies!!!!! i absolutly LOVE your work!!!!!!!! your amazing at what you work and want some soooooooooooo badly!!!!! you are a true artist and should be recognized by all females as true brilliance. I really love Alice in wonderland and ofcourse I love your jewerly (I'm from Holland so don't look too much at my english...) PS. Can I buy it, is it not too hard because I live in Holland??? 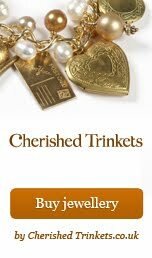 I would really love to buy some of your jewerly!